Home / News / Gerda Verburg: "Investing in nutrition means investing in human capital"
During the 26th Ibero-American Summit of Heads of State and Government in the city of Antigua Guatemala, a forum entitled “The effects of climate change on food and nutrition security, malnutrition, poverty and economics in Guatemala” was held, with the participation of Gerda Verburg, Assistant Secretary-General of the United Nations and Coordinator of the Scaling Up Nutrition (SUN) Movement, and Juan Carlos Carías, secretary of the Guatemalan Food and Nutrition Security Secretariat (SESAN). “Planning for food and nutrition security involves the programming of 16 executive institutions in the national food and nutrition security system, identifying budget activities with their outcomes and secondary outcomes and the allocated budget, to ensure the transfer of goods and services to the most vulnerable people. With support from all sectors, the National Development Plan (K’atun, Nuestra Guatemala 2032) and the Sustainable Development Goal 2 (end all forms of hunger and malnutrition and ensure access to sufficient nutritious food for all people by 2030) will be achieved”, declared the SESAN secretary. He pointed out that Guatemala was one of the first countries to join the global SUN Movement and that a good information system was crucial for decision-making, which is why they were now working to redesign SIINSAN to make it flexible and up-to-date. He said that health promotion laws are required to avoid disease and guarantee nutrition, as a feature of malnutrition. During the event Gerda Verburg, the SUN Movement Coordinator, highlighted the three steps required to achieve good nutrition in the country: “Government involvement, multi-sector and multi-actor cooperation and investment”. She continued, “The switch from agriculture to nutritional and sustainable food systems must start with the Ministry of Agriculture, but it requires the cross-cutting support of all sections of the Government ”. Gerda Verburg recalled that the SUN Movement was created to eliminate all forms of malnutrition. “Without good nutrition we cannot have better health, education or economic development. Investing in nutrition means investing in human capital; it is an investment in grey matter that allows us to achieve the 2030 Agenda for Sustainable Development”. Vinicio Cerezo, the Secretary-General of the Central American Integration System (SICA) and former President of Guatemala, was responsible for outlining the regional vision for eradicating malnutrition and promoting sustainable development in SICA member states. “We have to do the impossible to achieve the Sustainable Development Goals. These are the targets, and how we will achieve them is what I understand to be this “model” or social contract, because in fact our projection as a region has to extend beyond 2030”, he said. The forum addressed the themes of: good practices for climate change as a resilience strategy, presented by Diego Recalde, representing the Food and Agriculture Organization of the United Nations (FAO); the effects of climate change in Guatemala and catastrophic agricultural insurance, presented by Alfonso Alonzo, Minister of the Environment and Natural Resources; and a presentation on the theme of catastrophic agricultural insurance by Víctor Celaya del Toro, of the Mexican Secretariat of Agriculture, Livestock Farming, Rural Development, Fishing and Nutrition (SAGARPA). The forum was moderated by Walter Monroy, Undersecretary for Risk Management of the Guatemalan National Coordination for Disaster Reduction (CONRED). Finally, as part of the forum’s conclusions, the SESAN secretary pointed out that, “Our country has a legal framework, with the K’atun, Nuestra Guatemala 2032 plan, and we are convinced that Sustainable Development Goal 2 on ending hunger and all forms of malnutrition can be achieved”. 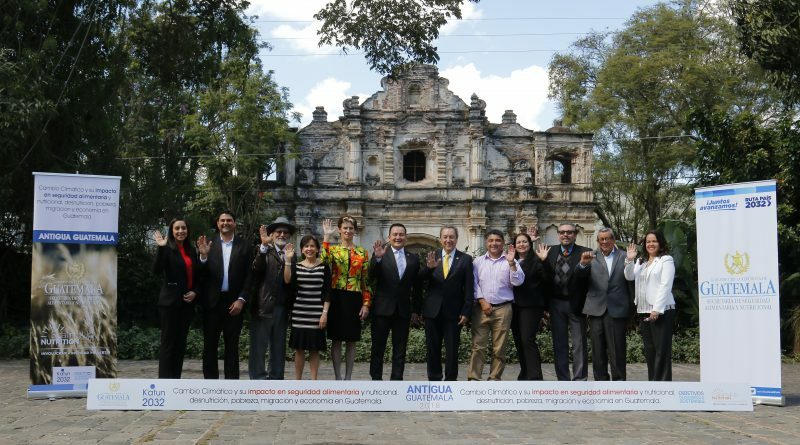 “This event embodies the decisive fight against malnutrition, especially in Guatemala, and thus promotes an improved quality of life for our people. 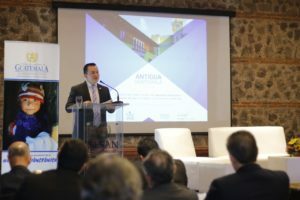 The ideal outlook for Central America is to achieve a region completely free of hunger, and Scaling Up Nutrition is designed to transform the way in which people work on a single goal, learning from other countries’ experiences. I want to point out that there is the strongest political will and awareness of food and nutrition security, and we will not let these opportunities pass by to invest in the basic aspects of sustainable development”, he added. “Thanks to international cooperation with constant behind-the-scenes support, organisations involved in this effort and those who visit our country, we believe in your work, and we feel honoured to have spent time with you”, he said.